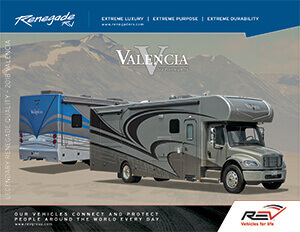 The Renegade Valencia is the culmination of our journey to create a family-friendly coach with the luxury you demand from the Renegade name, all at a competitive price. 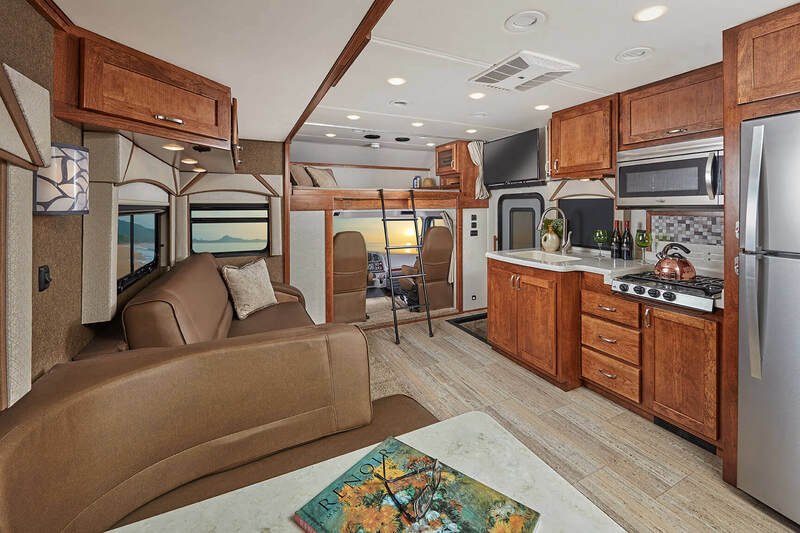 The Valencia Freightliner motorhome features the S2RV chassis, the first chassis made exclusively for RVs and engineered to deliver a refined ride with responsive handling. The single 100-gal. 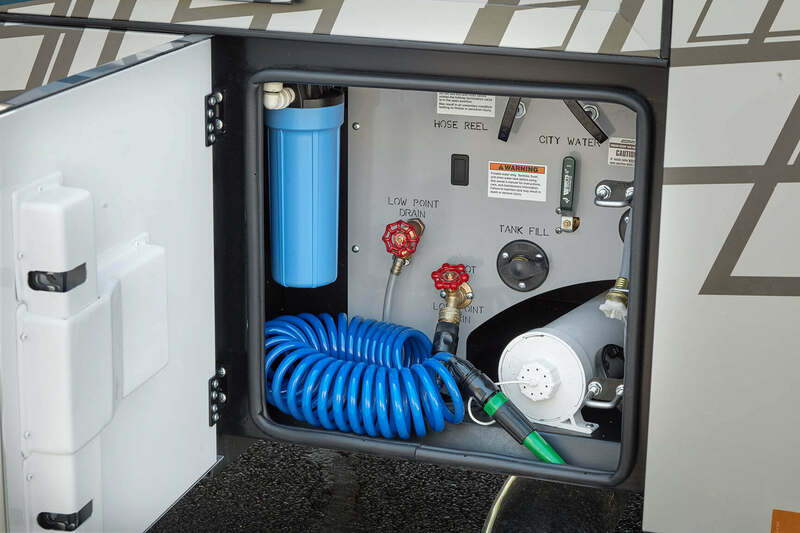 fuel tank offers exceptional convenience, and the Cummins ISB 360 HP engine delivers power on command. The Valencia rebels against expectations. 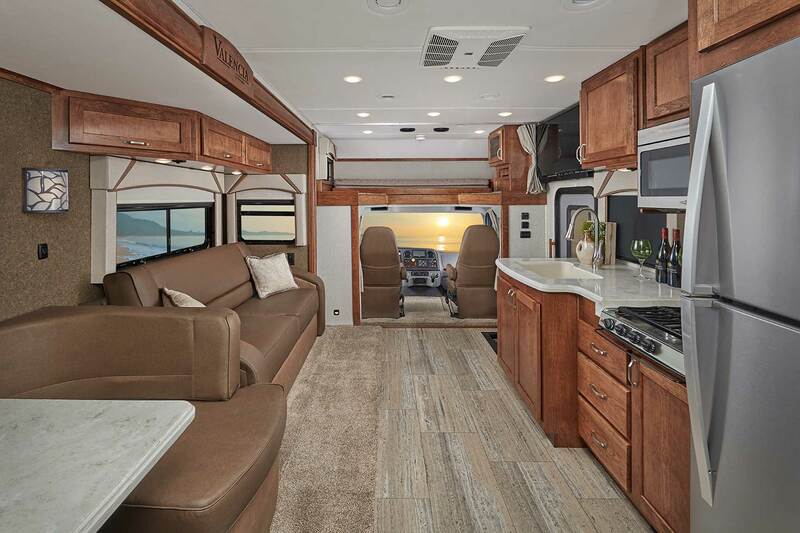 The Valencia motorhome is offered in two unique floorplans with thoughtfully designed interiors crafted to make the most of your journey. 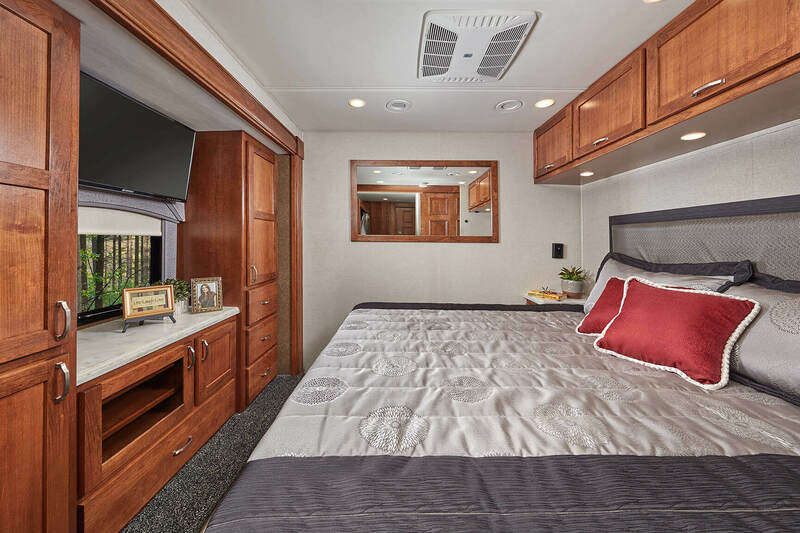 Whether you prefer a spacious master suite, bunk beds for the family or the armless awning for outside time, the Valencia is ideal for your next trip. 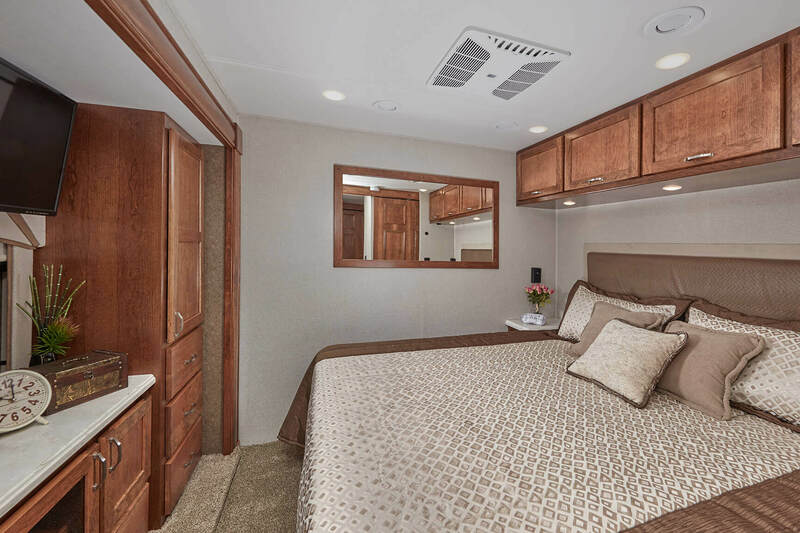 And because comfort should never be sacrificed for power, the Cummins engine produces 360 horsepower and 800 lb. 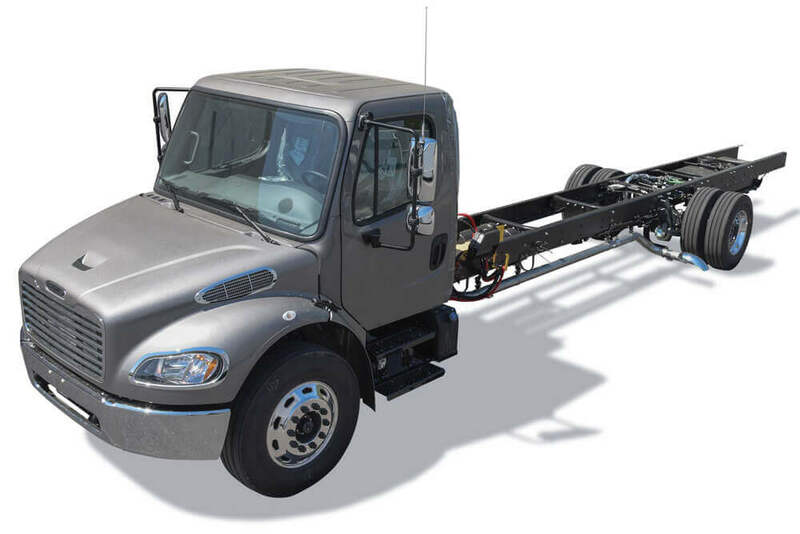 ft. of torque, while the Freightliner S2RV chassis smoothes the journey with standard air ride cab seats complete with adjustable armrests and air adjustable lumbar supports, and air ride rear suspension. 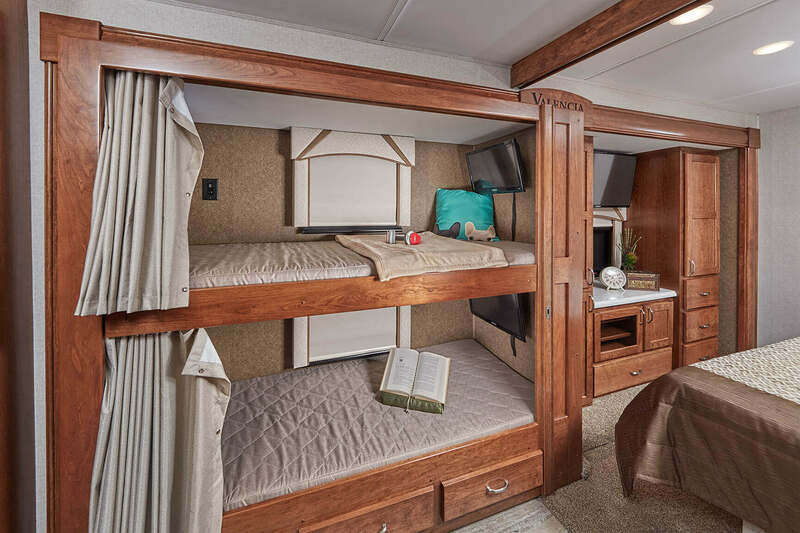 With two distinct floorplans, you can choose a comfortable master suite or accompanying family-friendly bunk beds. 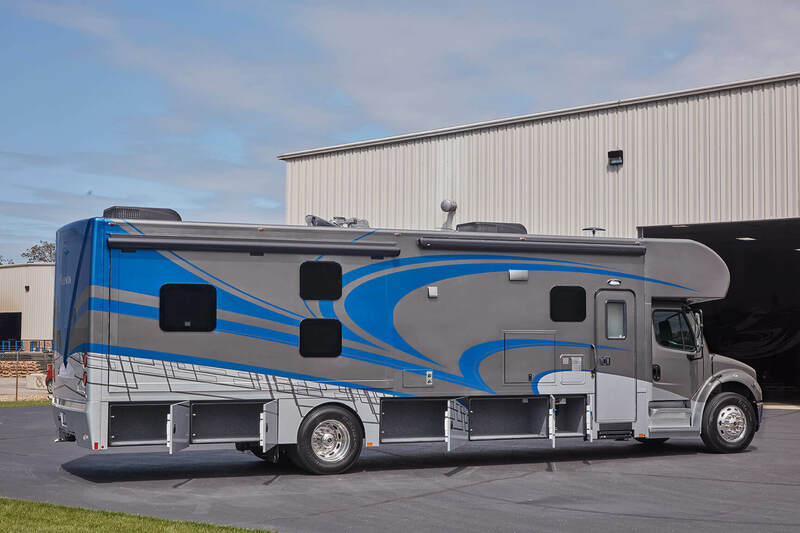 The Valencia’s all-new S2RV chassis commands the road, and the Air Ride driver and passenger seat let you adjust the firmness of the ride for extreme comfort. 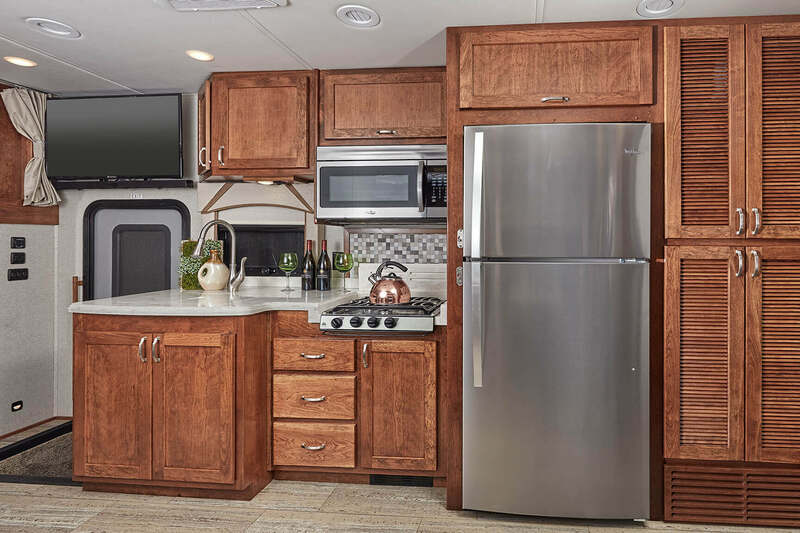 Polished solid-surface countertops, stainless-steel appliances and a stylishly practical backsplash make the Valencia’s galley the perfect place to prepare the perfect meal. 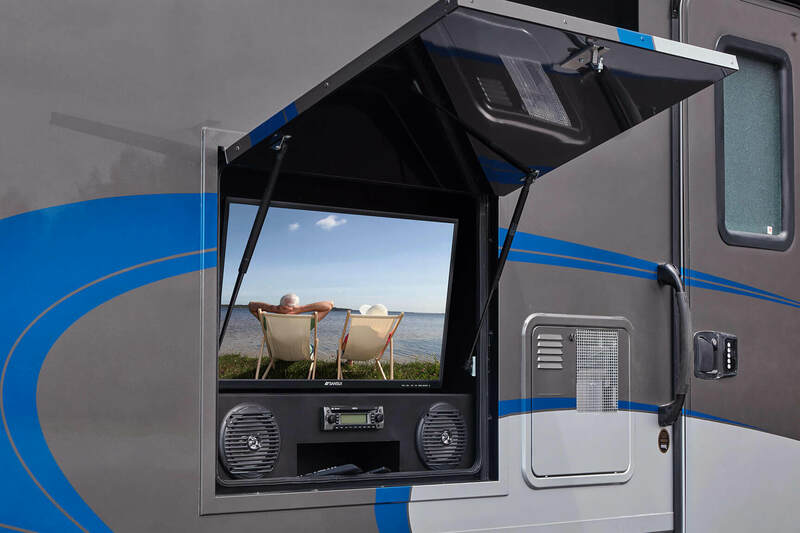 The comfortably refined and functional dinette offers cozy seating with the option of free-standing chairs. 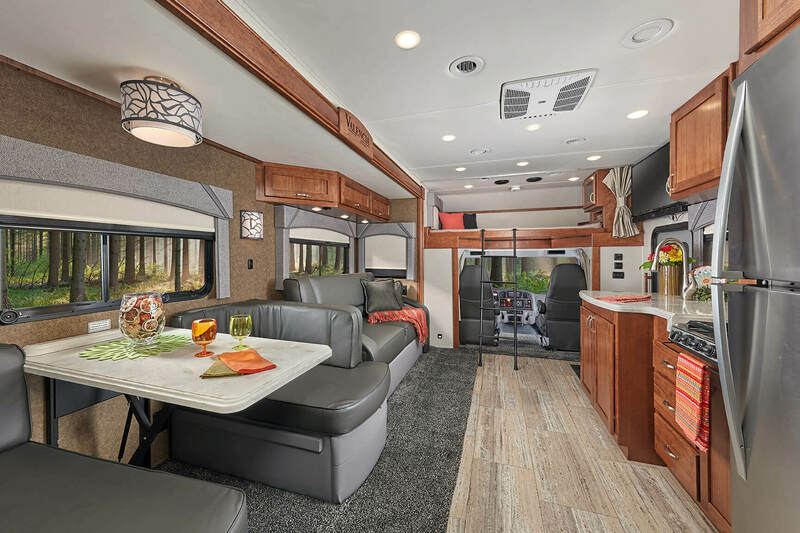 Whether you prefer theater-style seating or the slide-a-bed sofa, the Valencia offers options to relax and rest. 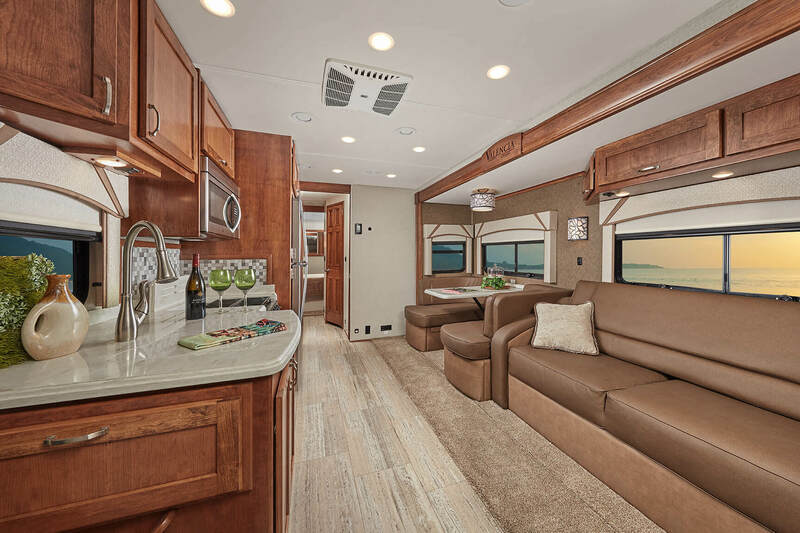 Solid cherry wood cabinets create a place for all your necessities while adding a polished luxury to the Valencia’s well-designed interior.